These wings are so Shabbylicious! 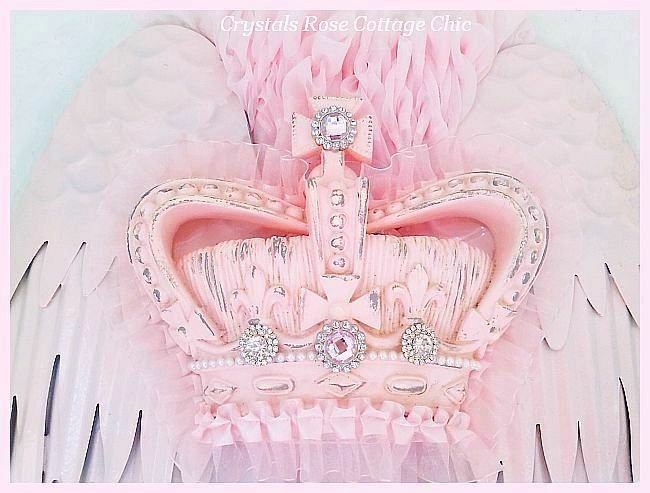 Painted the perfect shade of Shabby Pink and adorned with a distressed, vintage look crown bedecked in splendor with dazzling rhinestones of both clear and pink! 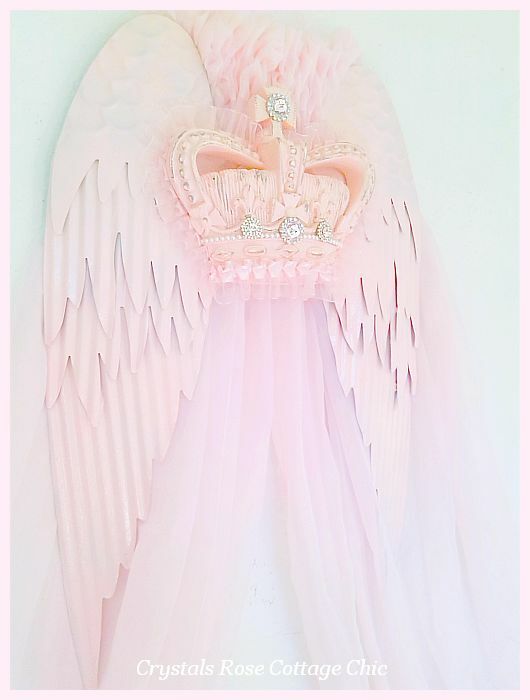 There is a darling, pink satin and organza ruffle trimming the entire crown for a soft , Romantic look and feel. For the finishing touch, I've added a simple row of petite pearls across the lower portion of crown. 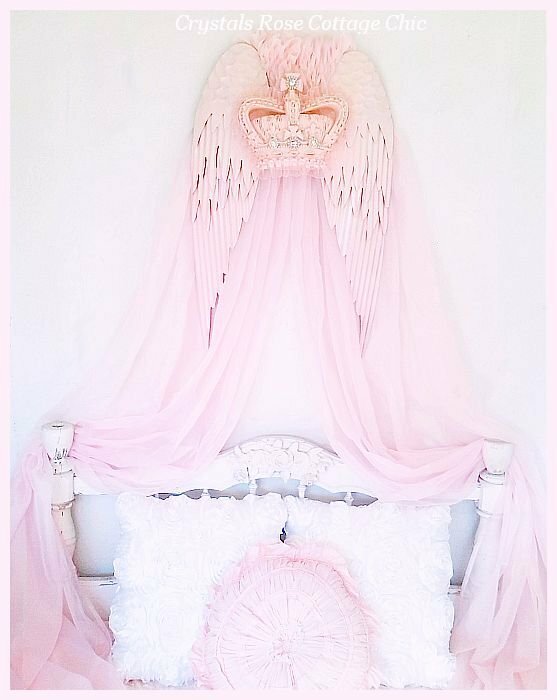 Shown over a twin bed with pink sheers because this makes the sweetest bed crown canopy but it also works beautifully without the sheers as very special wall decor.Wings are made of light weight metal, crown is resin and measures 26" x 18".